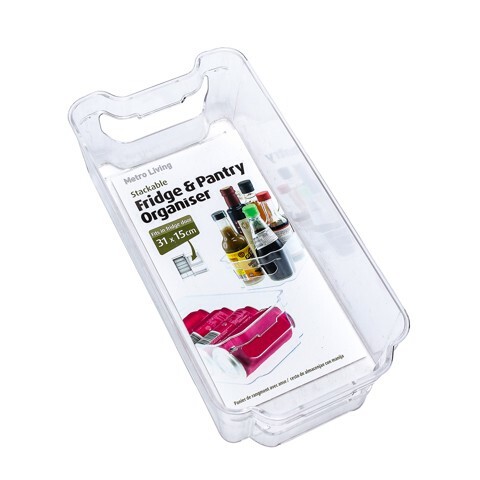 Fridge & Pantry Organiser Sml. 31 x 15 x 8cm. Clear. Plastic. 240G Packaging: Colour Label.